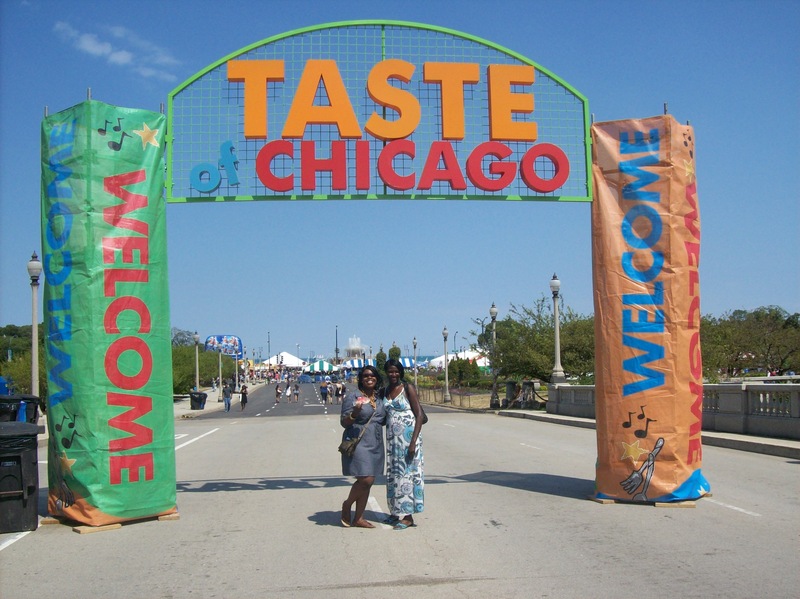 Taste of Chicago 2012: Budget or Bust? A Chicago trademark for thirty-two years and running the annual feeding frenzy fest known as the Taste of Chicago is a foodie beacon for all. When I heard news that the “Taste” would be pushed back after the July 4thholiday I toyed around with the idea of coming out and walking Columbus Drive once again. Reminiscing on days of my youth spent waking up at ungodly hours to take one sometimes two buses to Midway, hopping the Orange Line down to the fest, sporting freshly purchased “fits” (a common urban colloquialism referring to a brand new outfit, usually gaudy and by some sort of B-rate designer, see also Coogi) bought with parents’ money while always seeking the important pursuit of attention from boys. The bash has been scaled down over the years but the event had over 2.35 million patrons in attendance and 4.9 millions in sales in 2011. So what was the worst they could do this year right? They were already experiencing some less than stellar concert sales only selling half of 15,000 available tickets for all five acts. But hey,that’s $200,000 in concert tickets before the event began, that’s still a lot of coin. Before we debate the suppose it financial crisis that Chicago seems to be in, despite the fact that they are continuously taxing and ticketing our asses, let’s get into the important part of the Taste, the food! I, Vonnie Coleman, on behalf of 4-Star got up and hit the fest with a good friend in tow. 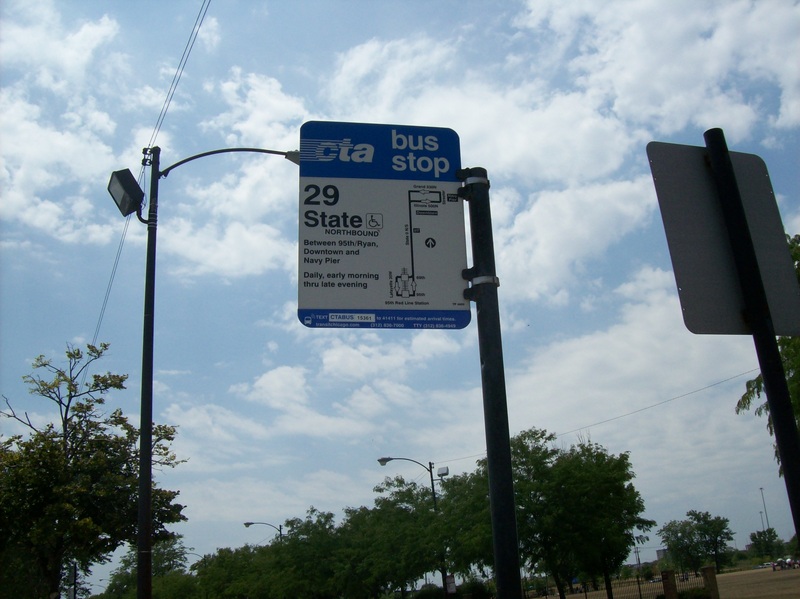 I started out my journey the CTA’s tightly packed 29th Route from Chinatown on 23rd and State. In already 91 degree heat you can imagine the pleasure it was to be face-to-armpit with the “strongly scented” gentlemen next to me. In the words of one of my favorite bloggers/YouTube Commentator Kid Fury, it was “hot boots!” After being packed up in there like the Middle Passage my friend and I were finally liberated and walked a couple blocks over. You know you’re nearing a major Chicago event whenever you hear the city famous “buckle boys” beating on drums, plastic containers, and whatever else recyclable material they can get their hands on. Wanting to enjoy the sites but with notepad and recorder in hand I figured it’d be no better time than ever to interview some fellow fest goers. Three questions. Three questions are all I asked but gave me a lot of insight into the soul of the Taste. 2. What vendor was your favorite? 3. What would you change or take away for the following year? 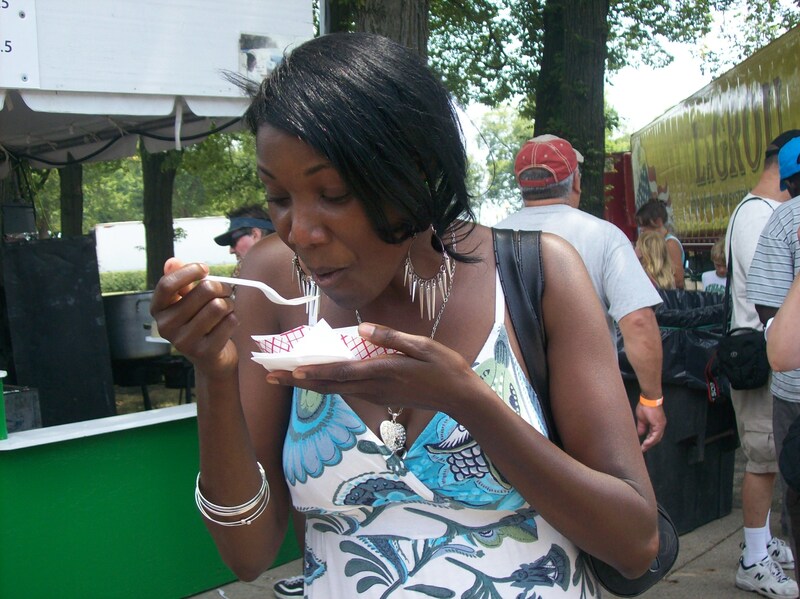 Michelle C. came out to the Taste on a lunch break with her coworkers. She confessed that one of the crowd favorites Texas de Brazil brought flavor that would make our American state of Texas feel small in comparison. The dish she loved? The Chicken wrapped in Bacon stood tall amongst the other booths. 4-Star grabbed a “Taste” portion, the smaller meal portion that allows you a nibble without squandering your hard earned tickets, and we’d say we would have to agree. As we made our way around the distributors we found two foxy ladies of a “certain age” (you know a lady never tells) standing in front of The Fudge Pot indulging in some of their famous chocolate covered strawberries. For them, the Taste was an annual event. Two best gal pals hitting the scene!We gabbed and they professed that Lou Malnati’s, only a Chicago institute in pizzeria prowess, was the best there is, hands down! What would they change? Nothing at all! 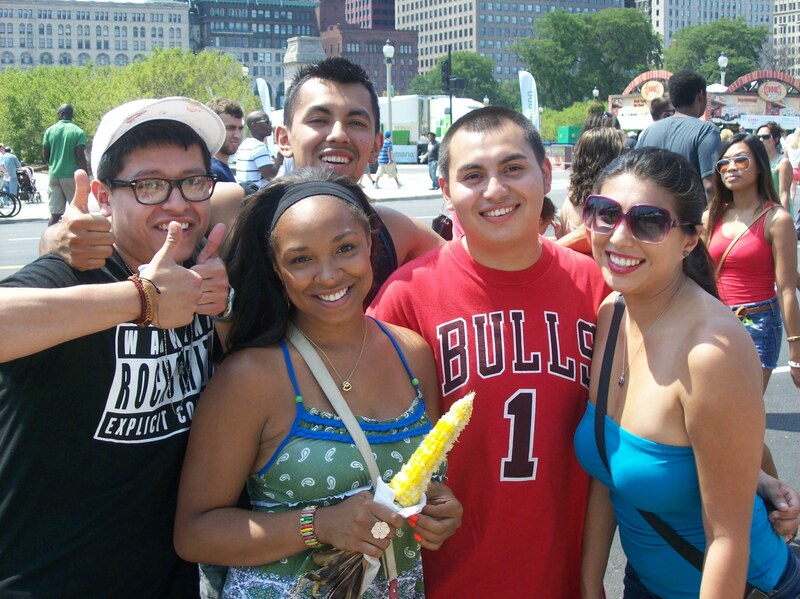 For them, the Taste of Chicago was as much a part of the mystique of our city than the skyline. Good to see there are still some diehard Chicagoans out there. While trying not to keel over and die in the blazing heat I stumbled upon a trio of teen divas making their way around the action. I must admit I had a soft spot for these ladies. You know, childhood memories and all that jazz. (Yes, before the painful reality of adulthood set in) Destiny L., Ashley R., and Autumn R. were extremely cheerful and welcoming which was awesome for a newbie newsie like me. I mean seriously, you go up to complete strangers in Chicago and expect to leave without your face on the floor. For the trio of ladies the Taste offered a constant reminder of the joyous time known as summer break before the crushing return to their 10th grade year started up in the fall. Because nothing says screw responsibility than spending your parents money. But don’t let the age deter you the ladies offered some valuable input. Their favorites were Reggio’s and a southside favorite Harolds. The pizza offered a mouthful of Italy’s boot and need I say more on the mild sauce goodness of Harold’s? After nearly spontaneously combusting this editor had to take refuge under a tree. I had almost forgotten that shade was a thing to rest in and not throw (“shade” being an urban reference to attitude giving as well as putting a particular nasty person in their place). Anywho, after taking a break and sampling some more food I was in awe of what could only be described as a “crew,” several people brought together in the essence of having fun. I got a chance to pick the brains of Oscar A., Jose S., Maya H., Victor T., and last but not least the gorgeous Janet T.
Why’d they risk near heat stroke to come out that day, “Food!” they all said. Victor T. was more than upset he was near on gospel at discovering the fact our famous turkey drumsticks were no longer in fashion at the Taste. “It’s the only reason I came!” he exclaimed. I felt his pain and promised to mention it on the blog. We were even in talks at starting a petition demanding the reemergence of the gargantuan turkey legs. They shared that the pot stickers at Star of Siam were first rate and the corn from O’Briens was mouthwatering. Shortly after I was able to strike interviewing gold! A real live tourist group. 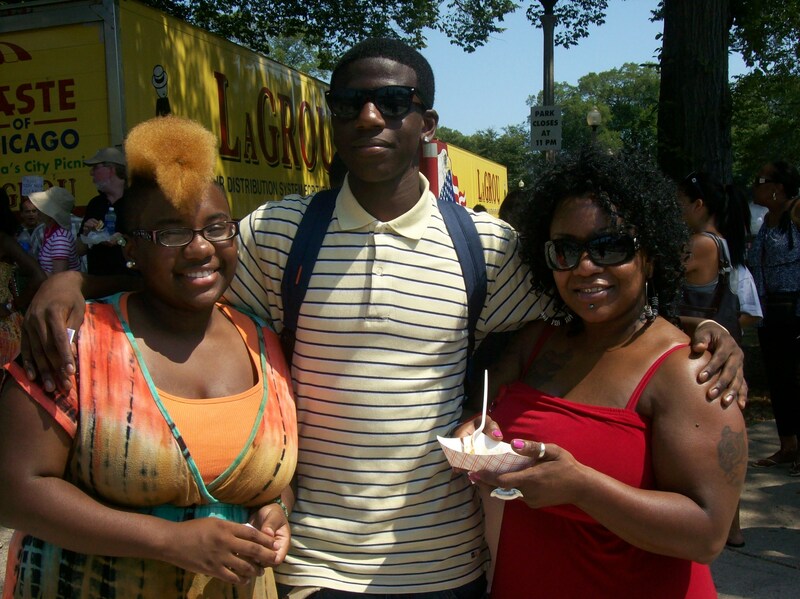 Victoria, Maurice, and simply known as “Mom” traveled to Chicago from Kansas City, Missouri or KC Mo. It was their first time in the city and they seemed a little reserved but that didn’t stop them from chatting about some of the scrumptious food they tasted while on their travels. For Victoria ice cream from Original Rainbow Cone was the ultimate for cooling and chowing down combined. “Mom,” loved the rib tips from Robinson’s No. 1 Ribs. “They were almost better than mine,” she shared. So What was 4-Star’s Favorite Picks? Best Value: Went to Dominicks for offering a 2-ticket slice of watermelon that was more than generous. Best Dessert: Sorry, Eli’s but Franco’s Ristorante’s took the top spot in dessert decadence with icy but satisfying Italian ice. Flavor Surprise: Went to Cubby Bear’s Macaroni Bites. Fried morsels of ooey gooey cheesy delight. 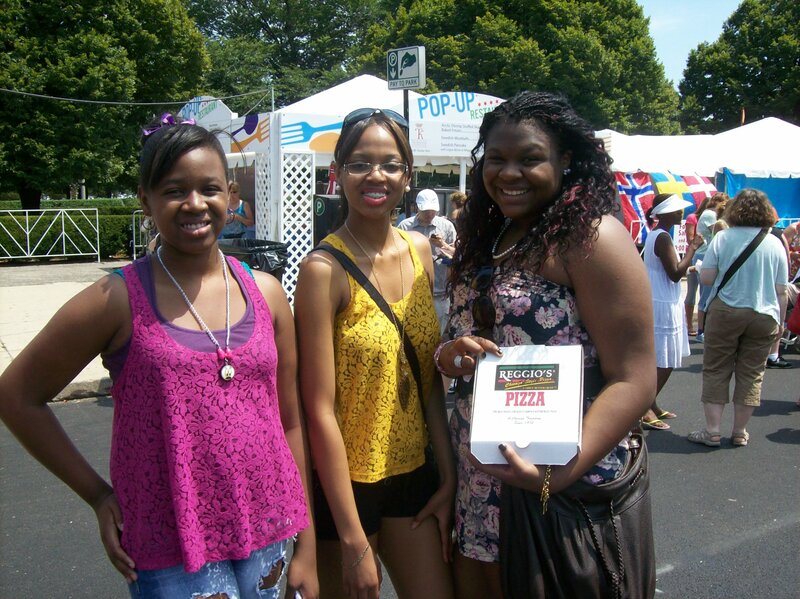 Overall Favorite….the first vendor I visited at the Taste, Bacino’s Pizza of Lincoln Park. The cheesy, piping hot wonder stayed on my mind all day as I wished I hadn’t skimped out on the full portion for 9 tickets. Ah, what can you do? 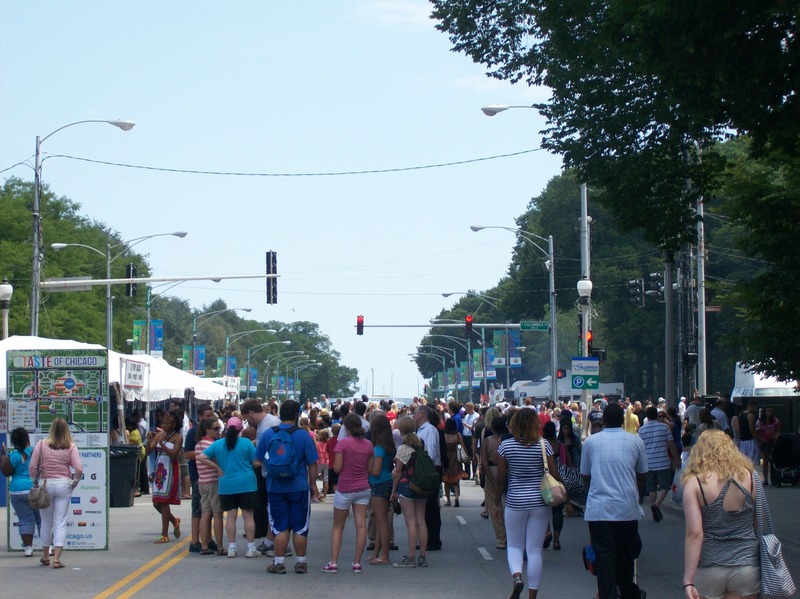 Out of five interviews including the advice of my friend, Denise C., the resounding advice for next year’s Taste of Chicago was more booths and cheaper prices! Only featuring a scarce 36 compared to 70 in the past, after Taste patrons hit up some of their beloved eateries…there wasn’t much left to see. That coupled with steadily climbing ticket prices left Taste-goers wondering did they get what they paid for? It is 4-Star’s opinion that prices change but entertainment lasts forever! We have got to get more things for the event goers to do while we are not filling our gullets I mean palates. Successful Tastes that I have been to in the past always had something going on: a radio station giveaway, FREE concerts, attractions, demonstrations, you name it. It was there, it was fun and it was free. Many times friends and I would be done eating but still manage to stay at the event until it closed. I guess others in attendance felt the same because numbers went down from 2.35 million from last year to half 1.2 million fest goers. Official numbers are not yet in on how much Mayor Emanuel racked in, I mean acquired, from the 5 day extravaganza. But many were not discouraged by this. Taste of Chicago overseers’ commented that given the fact the event had been all but rebooted attendance was not looked at as a disappointment. At the end the Taste of Chicago is still America’s largest food festival so I think we as Chicago-dwellers can be relieved in that fact.